A Melbourne based fencing site has been steadily rising up the rankings. This lucky business owner was fortunate enough to grab a killer domain name that was still available and an internet marketing plan was created for this brand new site.This business now gets 1-2 phone calls per day from the website and is now looking to sell off these leads because he is so busy. A short time ago this business was the beneficiary of an update to their Google Places listing. 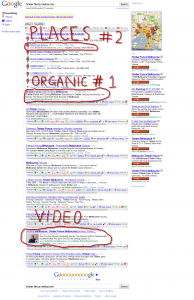 The Places listing jumped to number to Number 2 to add to the organic listing and video listing on the first page. Many of the top, big name internet marketers went after this product launch. What a perfect time to try the “Title With A Twist” technique. To stand out in this product launch it was decided that creative and humourous page titles would be used to grab attention and lure the prospect on to the site. 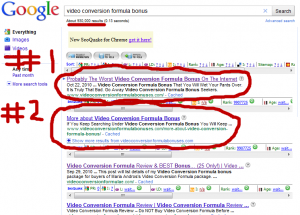 Once on the site, the serious content would be delivered just like a normal web site. Of course, the searchers couldn’t resist and hundreds of people were visiting the site for this product launch. 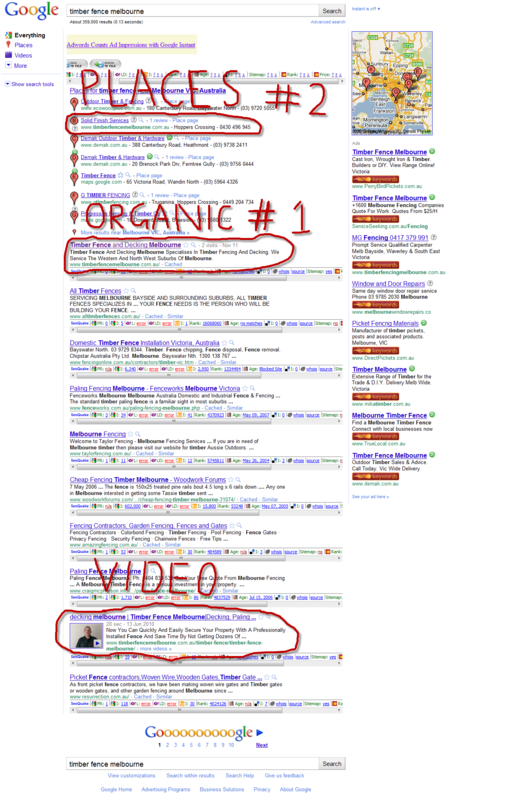 Oh, did I mention that during the launch we had the Top 2 listings on Google and 4 on Page 1 in total. 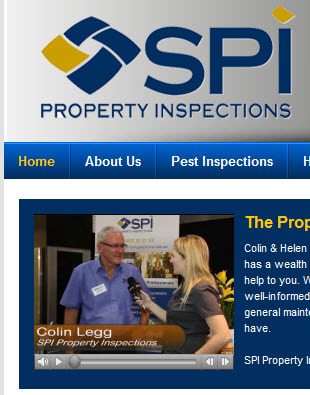 In December 2010 we started working with a Property Inspection company. They had enormous potential but their traffic was low. We redesigned the site to be more of a direct response website with lead capture form, video on the homepage, contact details visible on every page and a frequently updated blog. 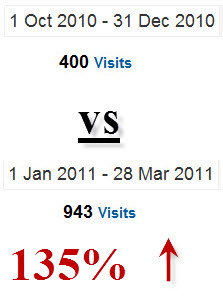 The result is a 135% increase in traffic from the 4th quarter 2010 VS 1st Quarter 2011. As of April 2011, they are close to eclipsing their entire online sales from 2010 only 4 months into the year.